Mark Harmon is one of the most popular TV actors in Hollywood. For nearly two decades, he has endeared himself to many TV viewers with his portrayal of the tough but compassionate special agent Leroy Gibbs on NCIS. NCIS is one of the longest running TV series in the US and follows Harmon and his team as they try to solve naval crimes. Harmon’s career has not been restricted to the small screen. He has also featured in a good number of movies and theatrical productions. Get to know more about the star here including his wife, sister as well as other interesting facts about him. Thomas Mark Harmon was born on the 2nd of September 1951 in California, specifically the town of Burbank. He had his high school education at Harvard-Westlake School. On graduating, he studied at Pierce College and UCLA and finished in 1974. While in school, Harmon was an excellent quarterback. In two years at UCLA, his team lost only 5 out of 22 matches. He also received several collegiate football honors on graduation. After college, Harmon wasn’t really sure of which career path to pursue. He wanted to be either a lawyer or a doctor. His confusion was however resolved when his in-laws gave him a part in their sitcom, Ozzie’s Girls in the year 1973. For the next four years, Harmon got minor roles in several TV series. This was until 1977 when he landed the role of Robert, a disabled veteran on the TV film – Eleanor and Franklin: The White House Years. The role not only brought him to the limelight but also earned him an award nomination for best-supporting actor. Mark Harmon got the second breakthrough of his career in 1986 in the TV series, St. Elsewhere. His portrayal of a handsome doctor, who later died of AIDS conferred on him Hollywood stardom. Harmon’s work has not been restricted to the small screen alone. He has appeared in movies such as The Presidio, Stealing Home, Chasing Liberty and Weather Girl. His very first movie was the 1978 movie, Comes a Horseman. Harmon hails from a family of five. His father’s name is Tom Harmon while his mother’s name is Elyse Knox. His dad played football in college and even won the prestigious Heisman Trophy. Harmon’s mom, on the other hand, was an actress and artist. Mark Harmon has two elder sisters named Kristin and Kelly. Kristin is now late. Before her death, she was married to a well-known musician, Ricky Nelson. They got married in 1961 and endured an acrimonious union till their divorce in 1982. They had four children together including twins Matthew and Gunnar. The twins would go on to form a successful 80s rock band, Nelson. Kelly is an actress and model. She has had minor roles in many TV series. She also famously featured in a mint commercial. 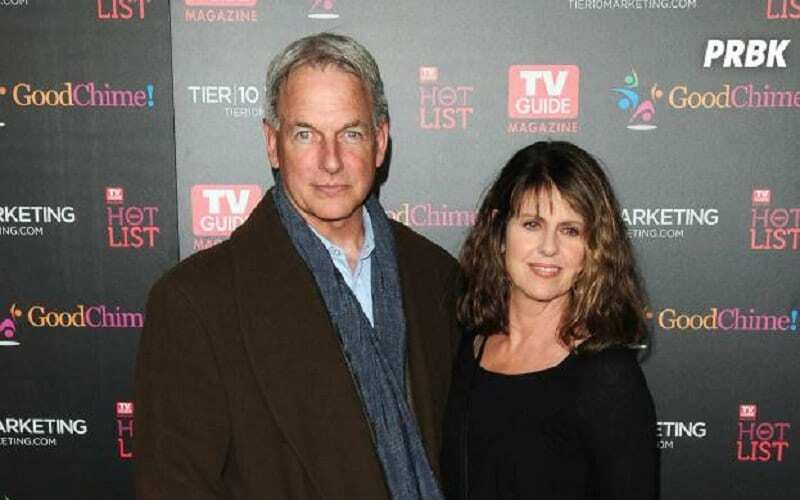 The NCIS star is married to Pam Dawber. Dawber is an actress, singer, and producer. Harmon and Dawber tied the knot in a private ceremony in March 1987. They are one of the enduring couples in Hollywood having been married for more than thirty years. Harmon has two sons with his wife. They are Sean Thomas and Ty Christian. Harmon and his wife are super private about their family affair. They do not parade their children on the red carpet for all to see. Meanwhile, the actor has revealed that the reason for the longevity of their union is maturity. According to him, they got married in their 30s, an age when they had dispensed with youthful exuberance and matured fully. 1. He was the second man ever to be named People’s Magazine sexiest man of the year. This was in 1986. The first man ever to receive the honor was Mel Gibson, in 1985. 2. Mark was made a brand ambassador for Coors Beer in the 80s. He featured in several commercials for the company. 3. Harmon won the People’s Choice Award for favorite TV crime drama actor in 2017. 5. Harmon is a real-life superhero. He once saved two youngsters who were trapped in a burning vehicle near his house. He used a hammer to break into their vehicle. 6. The actor was inducted into Pierce College Sports Hall of Fame in 2010. This was in recognition of his football exploits while in college. 7. He has a star on the Hollywood walk of fame. It was unveiled in October 2012.